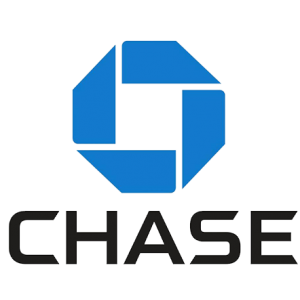 Chase Ink Business Unlimited Credit Card Review - Huge Sign Up Bonus! The Chase Ink Business Unlimited is the newest business card on the market and it looks to be a great everyday earner. This card is a part of Chase’s Ink Business card lineup along with the Chase Ink Preferred and Chase Ink Cash (for now at least). The Ink Unlimited just launched with an awesome bonus and great earning potential. It has a different earning structure from the other two Ink products which makes it beneficial to carry and use all 3 versions. This is the first sign up bonus so it is also the historical high. CLICK HERE to compare this and other business cards. The Chase Ink Business Unlimited card does fall under the dreaded Chase 5/24 rule. While it falls under the rule remember that it does not count towards your 5/24 count. So if you are at 4/24 you can apply for it and still get another Chase card after. Most Chase cards have a 24 month restriction as well. This restriction usually limits you from getting a sign up bonus for a second time within 24 months for the same card. There is no such terminology/restriction in the Chase Ink Business Unlimited terms. You may want to verify that with recent data points before applying if you fall within the 24 month time frame. It is also worth noting that Chase has been shutting down accounts of people with too many recent applications and for people with to much credit available to them across all banks. These are two things to be aware of but most people eligible for this card will not have this problem since they would have less than 5 applications in the last 2 years. You are able to transfer your UR points earned from your Chase Ink Unlimited card to one of these cards which then makes the points transferable to travel partners. Here’s our Step by Step Guide: How to Combine Your Ultimate Rewards Points For Maximum Value. Transferring the points to one of the cards above also allows you to use the Chase Ultimate Rewards portal to book travel as well. If you do not have one of the cards listed above then the points earned with your Ink Unlimited card will only be redeemable for cash back at 1 cent a piece. Extends the time period of U.S. manufacturer’s warranty by an additional year, on eligible warranties of three years or less. The Chase Ink Business Unlimited card has no annual fee. It does come with a 3% foreign transaction fee. The 50,000 point sign up bonus is worth $500 in cash back. You get to keep the full amount since there is no annual fee. If you have one of the annual fee Ultimate Rewards credit cards listed above then the value of the points increases to 1.5 cents per point. The increase in value is because the points become transferable which makes them more valuable. That would change the value of the 50,000 point bonus to $750. The Chase Ink Business Unlimited card is the Freedom Unlimited of the business world. It earns 1.5 Ultimate Rewards points on every purchase as long as you have a premium UR card to unlock transfers. If you don’t have a premium card then it simply earns 1.5% cash back. Unless you have a premium card there are better business cards on the market for non bonused spend like the Capital One Spark card or the Blue Business Plus card from American Express, both of which earn 2% or more per dollar.. But if you do have a premium card that unlocks transfers this card is hard to beat for non bonused spend. That would make each point worth 1.5 cents a piece, netting you a return of 2.25% on every purchase. That is among best offered when speaking about return on non bonused spend. It is the best return on everyday spend in the business card sector for big spenders. The Blue Business Plus would provide a better rate of return for the first $50,000 worth of spend each year. This is a pretty special card when you pair it up with the Chase Ultimate Rewards program. And that isn’t taking the 50,000 point sign up bonus into account which is as good as it gets for a no annual fee card. Long Term Keep or Cancel? This card is a no doubt long term keeper. It has no annual fee and an outstanding earning structure. There would be no reason to close it. The Chase Ink Business Unlimited credit card has the potential to be the best everyday earner in the business credit card sector. The card is a 1.5% cash back card that earns a return of 2.25% per dollar when paired with a premium Chase Ultimate Rewards product. It also has an amazing 50,000 point sign up bonus that can be worth $750+. While the Chase Ink Business Unlimited card doesn’t have many perks the car rental insurance and extended warranty could save you hundreds of dollars per year. The Ink Unlimited card has two negatives. The points are not transferable, which is easily corrected when pairing it with another Ultimate Rewards earning card. Second, there is a 3% fee for foreign transactions. Other than those two negatives the card is pretty flawless. The Chase Ink Business Unlimited credit card offers an amazing welcome bonus, a great earning structure for non bonused spend, and a few card perks all without an annual fee! Next articleATW: Disney Cruise Dates Open, Terrible Transit Hotel Experience, Sinemia Failing Customers & More! It’s not fair to say the points are worth 1.5 cents/pt with a premium card. They are worth 1.5 cents/pt with the CSR ( that comes with a $450 fee). With an Ink+ or CSP (also premium cards but only a $95 fee), the points are worth 1.25 cents/pt. That is only if you use the points in the Chase Travel portal. If you transfer them to Hyatt you can easily get 2 cents per point. You can easily get 2 cents per point with BA Avios flying American Airlines. Southwest gives you 1.5 cents per point. If you don’t get a minimum of 1.5 cents per point you really aren’t using them right. That is probably a min redemption evaluation. If you value membership rewards points at 1.5 cpp, then the blue business plus would have a better return in the business card sector, at 3 cents per dollar spent. That is true but it is capped at 50K per year. I completely forgot about it but will add that in – thanks! You earn 2 MR points per dollar which most people value at around 1.5 cents a piece so you can get a 3% return per dollar on your first $50,000 in spend. Why would there be even a question of a 24 month restriction? It’s a new product. This is a review that people will look at in the future so it should be in there for people that read it years from now etc. What about Chase closing all accounts down for some applicants? What are your thoughts on that? With Chase becoming increasingly aggressive on closing down anyone when one too many cards have been applied for, this seems like a huge point worth mentioning. Since this card is a 5/24 card anyone who is able to get it would not be in risk of that imo. But I will add it in – thanks for the suggestion. Mark Ostermann on Bibbidi Bobbidi Boutique Review – Disney At It’s Finest!